Vision in architecture matters a great deal. Designers must imagine what will be before it exists and create it from nothing. It also matters greatly for those that occupy the spaces envisioned. Vision gives us the ability to perceive aesthetic differences, to marvel at what humans can build or stare in awe at nature’s own marvels. Vision allows us to perceive daylight which both illuminates the spaces we occupy and helps us meet shared, basic physiological needs. The physiological impacts of what our eyes sense are only partly understood, but we now know that our eyes sense more than what we see and that this impacts our mental and physical health. Vision has its downsides too. With the ability to perceive the world’s beauty and grandeur comes the ability to perceive its more mundane elements. It also means we can be subjected to the discomfort and distraction induced by glare. Vision’s impacts, good and bad, are testament to its power over us. 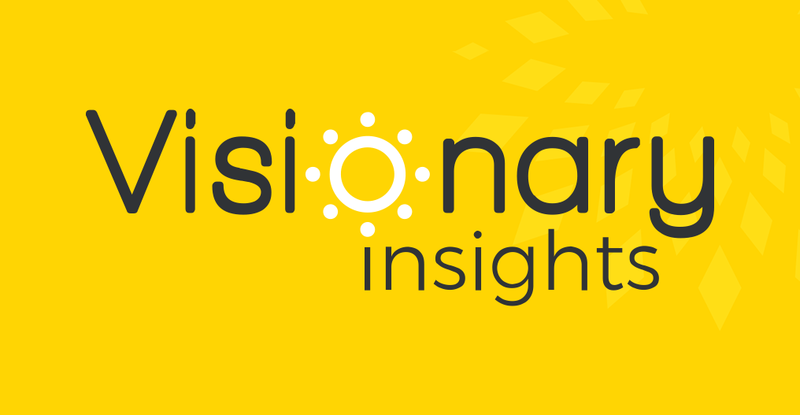 Visionary Insights is a knowledge platform for those interested in ways to make buildings better for people that seeks to provide meaningful and actionable information regarding the many ways in which vision impacts people in the built environment. The simple answer is that the building industry is at an inflection point. There is widespread recognition that the buildings we inhabit don’t just impact the environment but also the occupants. This recognition goes beyond mere comfort factors and touches cognitive performance, creativity, health and wellbeing and myriad other factors. However, recognition is different than understanding and certainly different than action. This brings us to the inflection point: will we turn this recognition into actionable insights that will truly guide the future of building design, construction and operation as an industry norm? It is arguably this latter part that is most challenging. Will designing “better spaces” for occupants be relegated to showcase projects for a wealthy elite or will it be relevant for all? Yet another cynical take, will it become just another a marketing talking point or something that is actually delivered (and measured)? Last but not least, will it be designed in but consistently “value engineered” out to cut costs (side note: let’s stop using the term “value engineer” to refer to actions which reduce performance or functionality to cut costs…this is not “value engineering”, it's just cutting costs). More and more glazing: as we look around us we see designing with lots of glass is a norm. This means more daylight and views but also more heat and glare. There is still a lot to learn about these subjects, and we are actively participating in research to enhance our collective understanding. Biophilia: the concept is far from new but it is getting increased attention. While the impacts are many, a major theme is understanding how a connection with nature impacts people, and specifically building occupants. It is a major design trend that is only growing. Non-visual effects of light: this is a complex subject we provide background on in another blog (Daylight, a powerfull ally for our health! ), but a key takeaway is that we are just starting to understand how light impacts us in non-visual ways. This is particularly true for our circadian rhythms, which in turn have significant health and wellbeing implications. While not a mainstream design consideration today it is rapidly moving in that direction. With this new platform we will be contributing to a discussion on these subjects, among others. We want to bring our experience and expertise to bear on these important topics. We also want to hear from our audience because dialogues are more informative than monologues. Fundamentally, we believe that daylight and views are major parts of delivering sustainable buildings that support occupant comfort and wellbeing and we want to use this platform to support the cause. Jordan Doria is the Senior Channel Marketing Manager for SageGlass. Jordan has a decade of experience in the building industry, working to promote buildings that are better for people and the environment. He holds a Bachelor’s and Master’s Degree in Political Science from Villanova University (USA).